This post is sponsored by Joann Fabric and Craft Store. All opinions are my own. 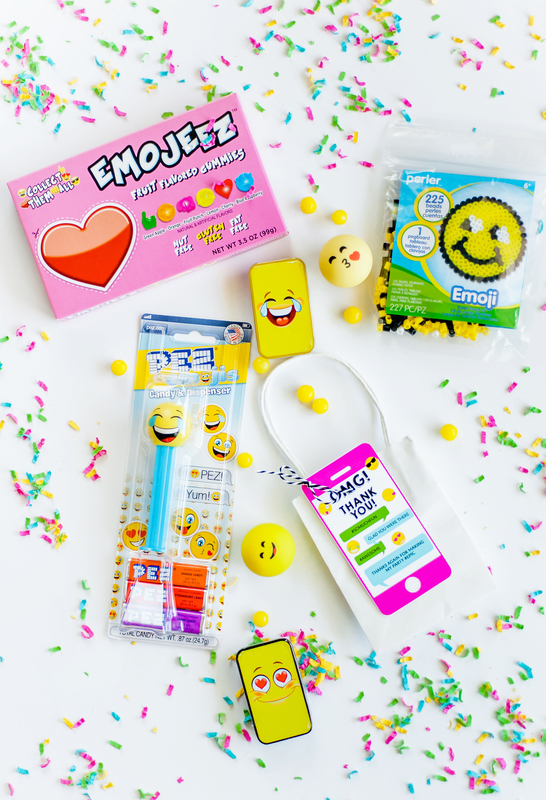 Are you completely EMOJI obsessed like I am? I mean who doesn’t love a good emoji? 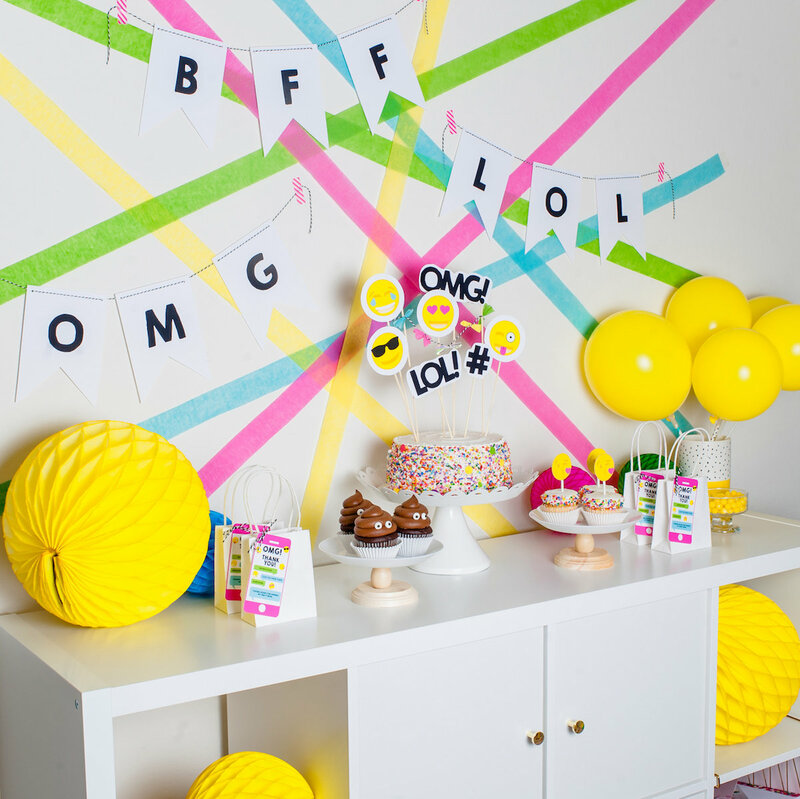 Well, let’s take a look at some fun party details that all the kids will be #LOL-ing over! 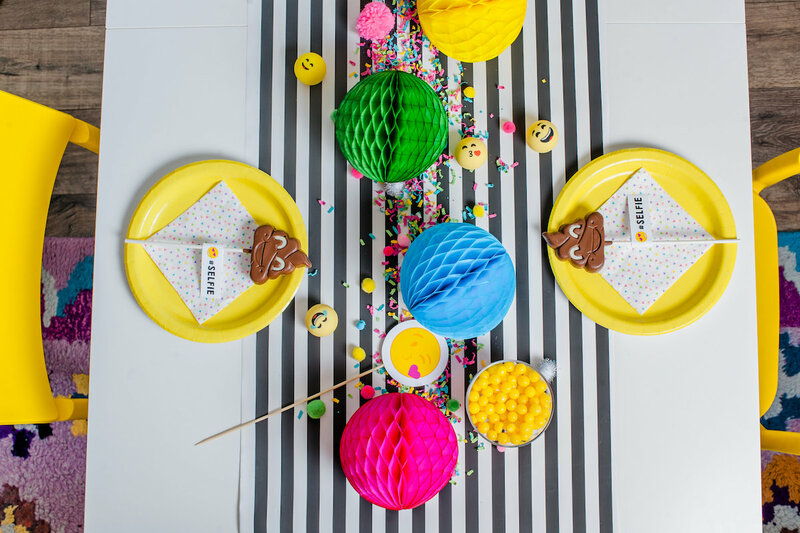 This Emoji Birthday Party is a party I created for the Joann Blog, The Creative Spark and with the Emoji Movie Coming out, I think it’s the perfect, fun kids party theme! 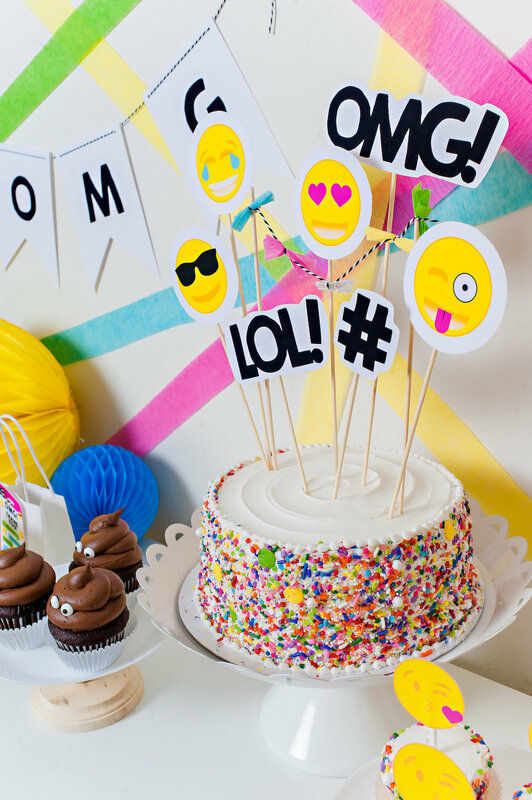 There are so many fun DIY projects you can make with an Emoji themed party…I mean…look at this easy DIY Emoji Cake??!! 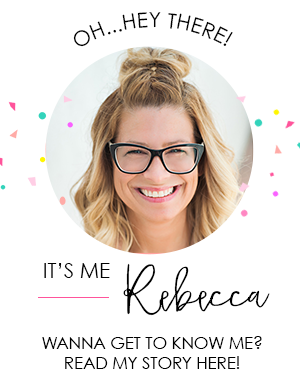 I have my local Target make a plain cake with sprinkles up the sides and then, with a few darling printable emoji cake picks you have yourself a super fun cake! 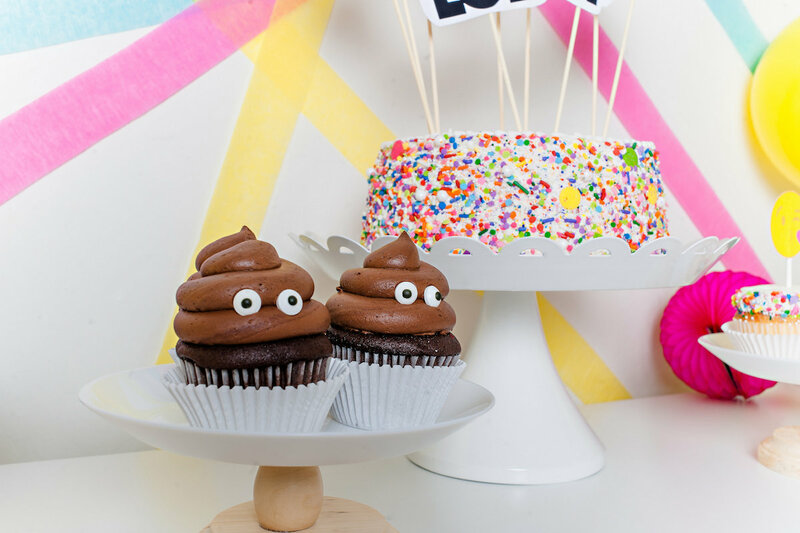 Also, by taking candy eyes and adding them to chocolate iced cupcakes, you have some pretty stinkin’ cute poop emoji treats too! 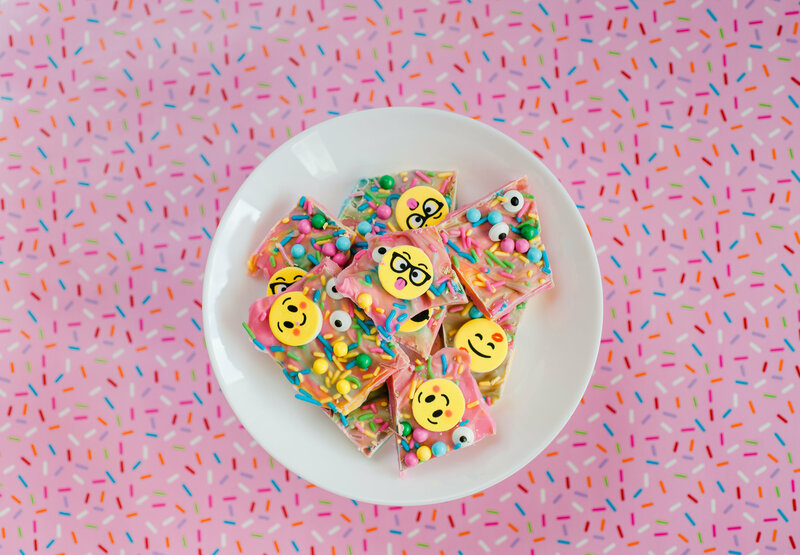 Keep the party going with some themed candy bark. I love to set up favor stations at parties and this fun Heidi Swapp Light Box with Emoji Icons was perfect to use to set the theme. I used small white bags with printable tags for guests to stash their swag in. To keep clean up quick and easy, line the table with some gift wrap as a table runner. This will add an instant pop of color and pattern to any party decor. 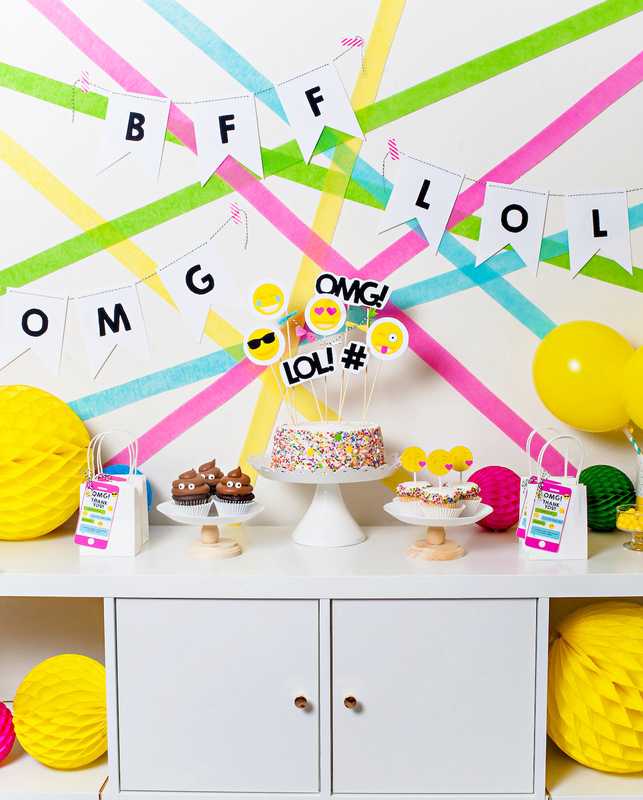 Feeling inspired to throw your very own Emoji Party? I’d love to see what you dream up! 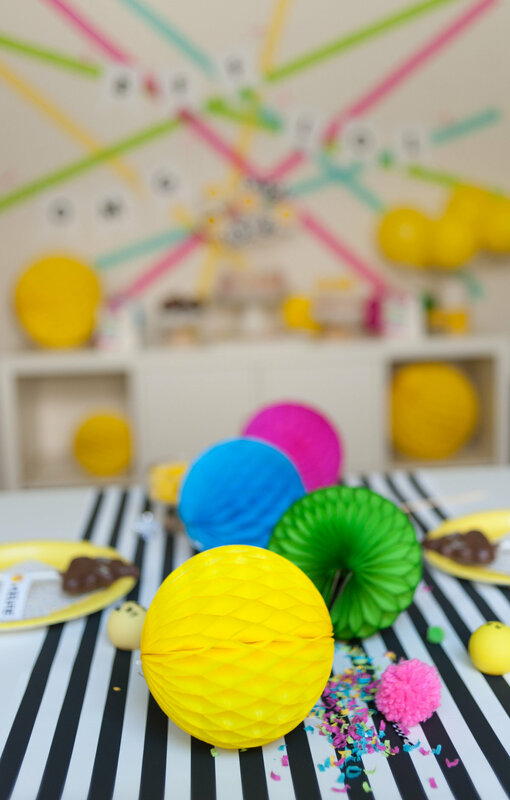 Looking for more DIY party ideas? 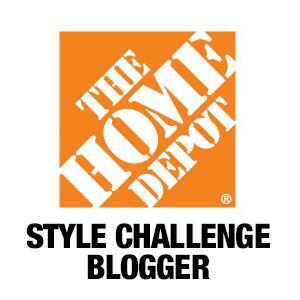 Check out this link HERE!